CAUTION: the sphere is very hot after turning, especially when using SS. top (centered inside the 1/2" x 1/2" groove). 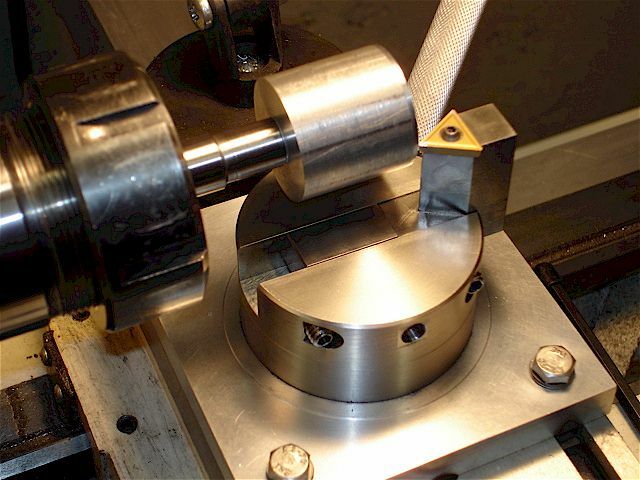 High viscous grease increases control during turning. 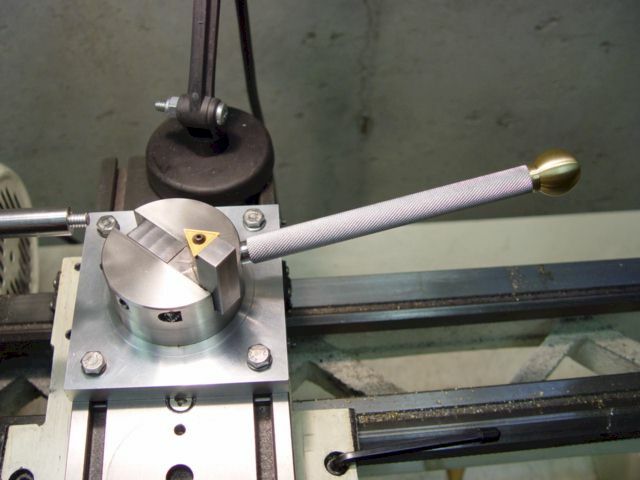 Ball turner with HSS tool bit holder for aluminum & brass. 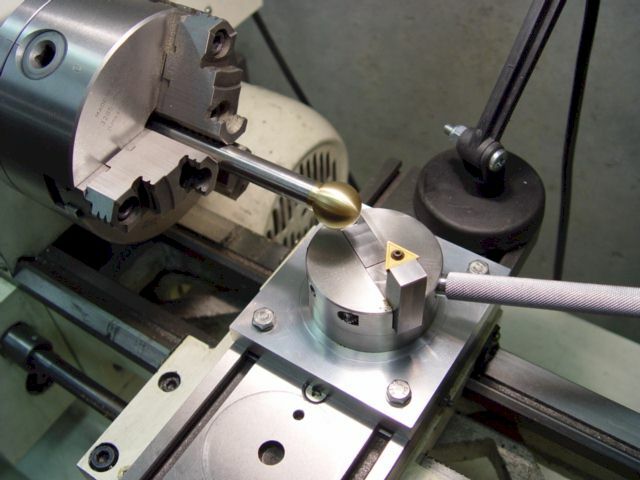 Turning a concave contour for a wine stopper. 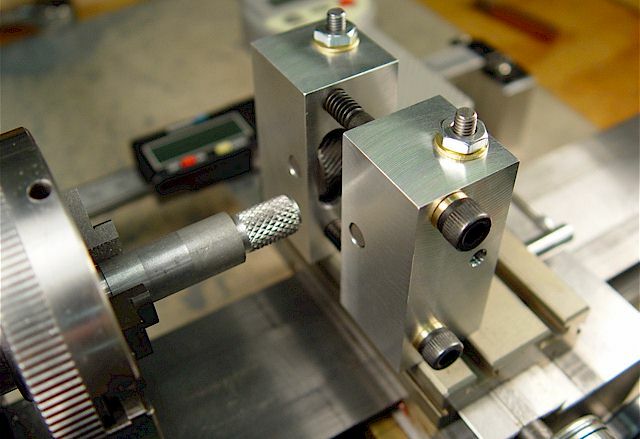 recess for the tool bit inset. 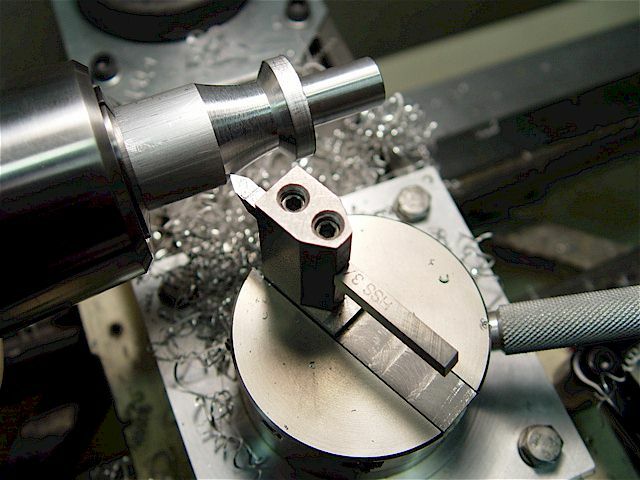 The arbor is held by an ER-40 collet in a MT3 to ER-40 chuck. 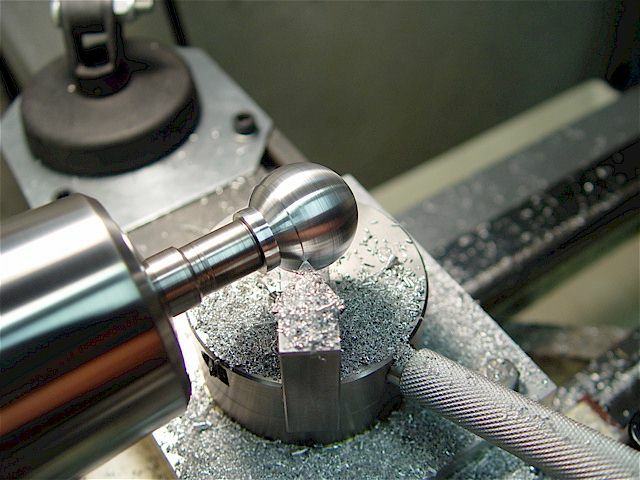 A finished aluminum ball. 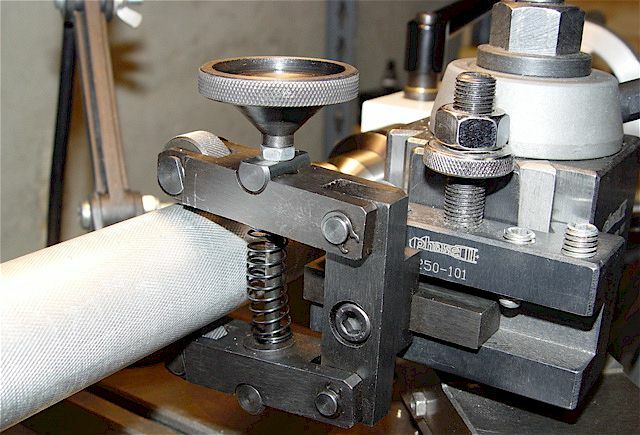 Sanding & polishing easily done on the lathe. Stainless steel takes a lot longer to make but looks & wears great. without marring the finish. 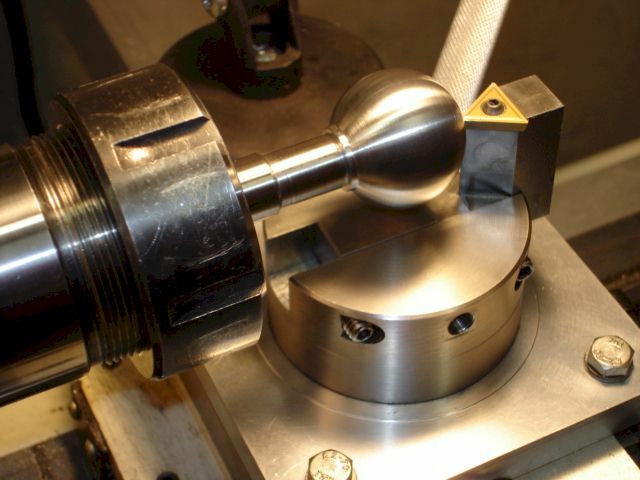 This example shows a completed 1.2" diameter stainless steel sphere. 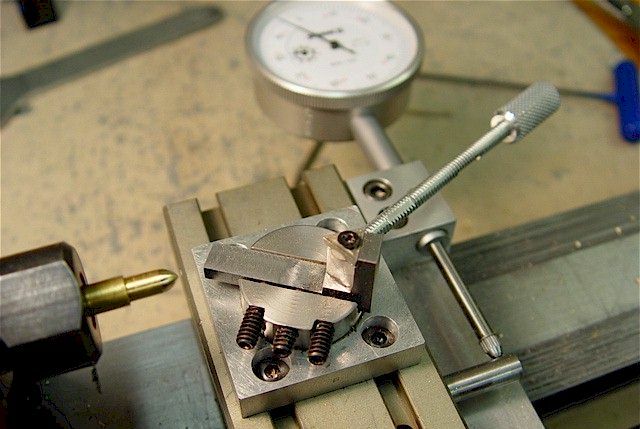 Micro-ball turner for the Taig. Taig ball turner with rounded corners & cap-head screws replaced with set screws to provide more clearance. Scissor-type knurler works very well. All the pressure is in-between the cutters as it floats on the pivot. Modified the pivot bolt head & added a lock nut. 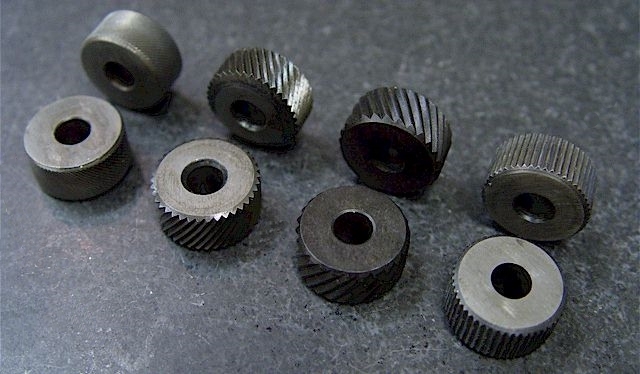 The knurlers are held in via friction pins. 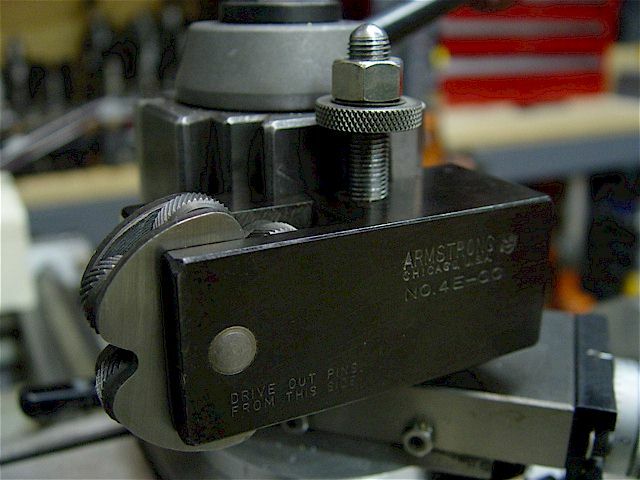 Left, right & bottom views shown as mounted in an AXA tool holder. 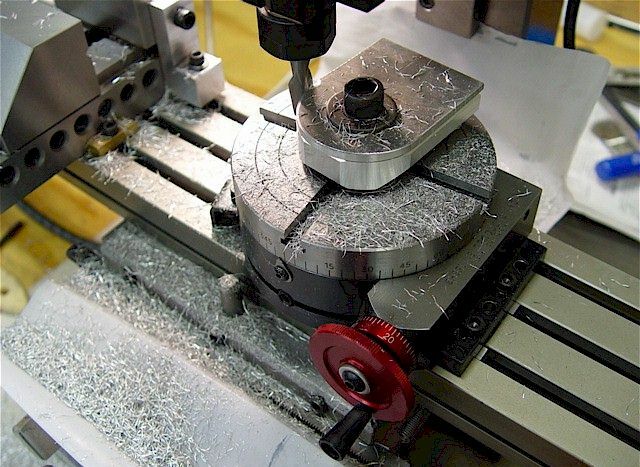 Knurling aluminum in the Jet BD-920N lathe. I knurl at low speeds feeding it by hand using the rack & pinion. 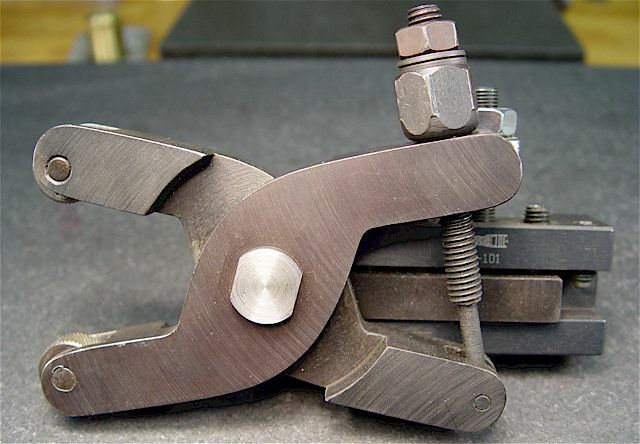 A standard knurler with interchangeable cutters. 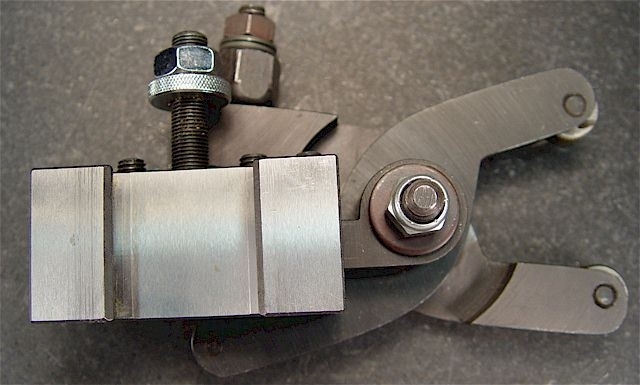 Also holds a tool bit for facing cuts. 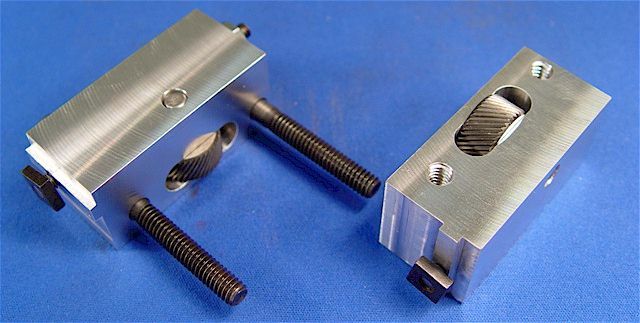 Really need a rigid machine & setup for this type of knurler since it exerts high side forces. 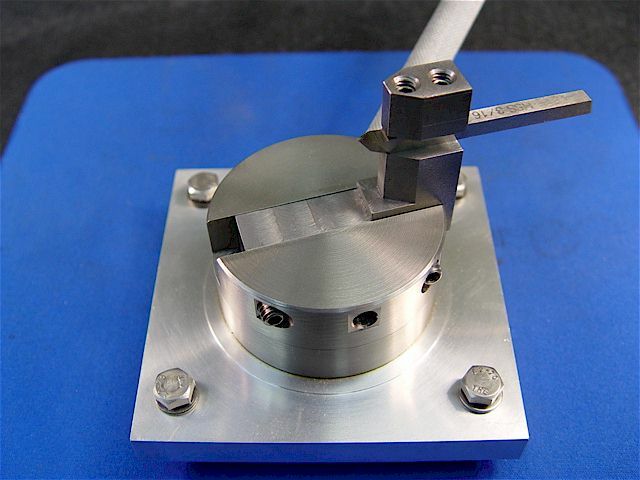 An AXA-mount knurler with an indexed, multi-knurler (fine, medium, coarse) head that allows it to float. 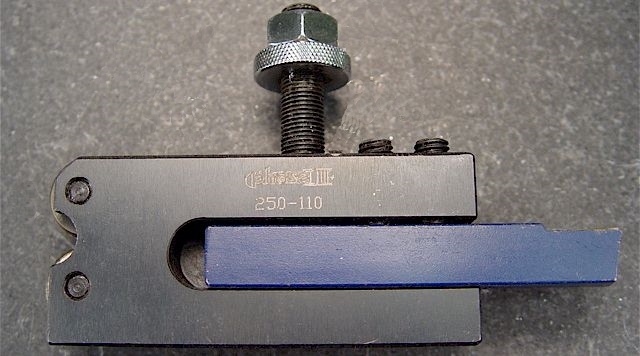 A smaller, clamping-type knurler. 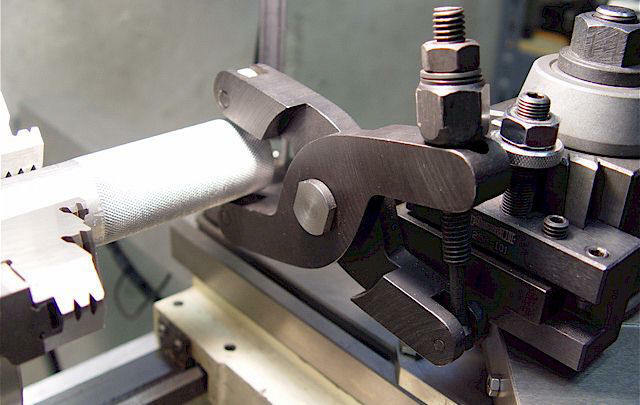 Good for light knurling in soft materials. 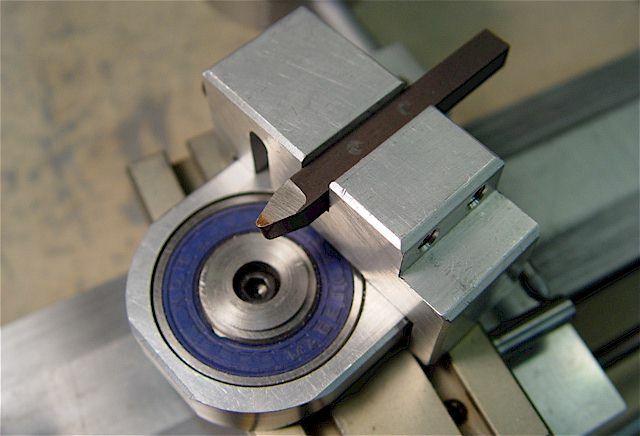 The larger scissors-type can exert the needed higher pressures to form a true, high-grip, pyramidal pattern. Replaced pivots with 10-24, 1/4" x 3/4" shoulder bolts with lock nuts for ease of knurl pair changes. 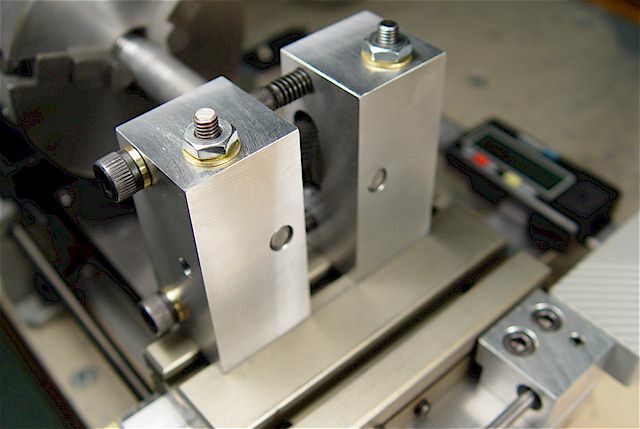 The two bolt heads on the left have flats milled into them to engage the steps to prevent rotation. 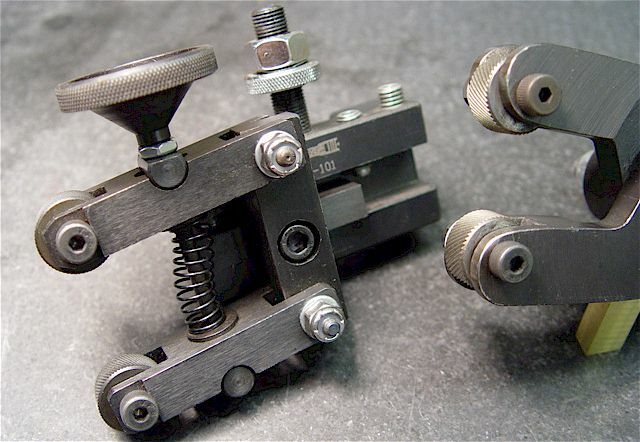 Exploded view showing how the shoulder-bolt head has a milled flat that engages the knurler arm recess. 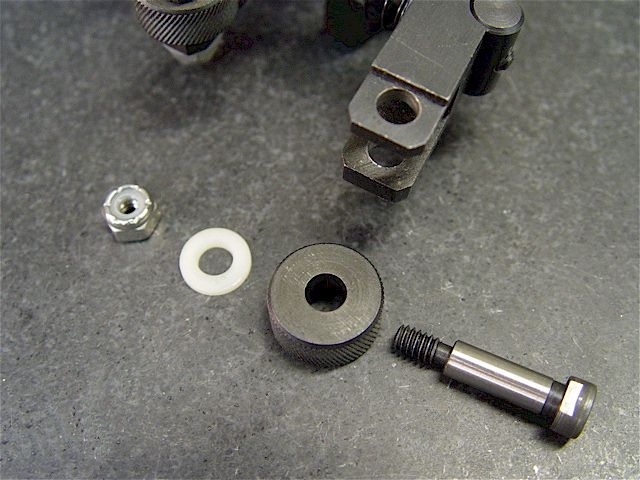 The shoulder is a fraction too long so a nylon washer is used to take-up the extra length. Left to Right: fine, medium, course, straight patterns. were precision reamed. 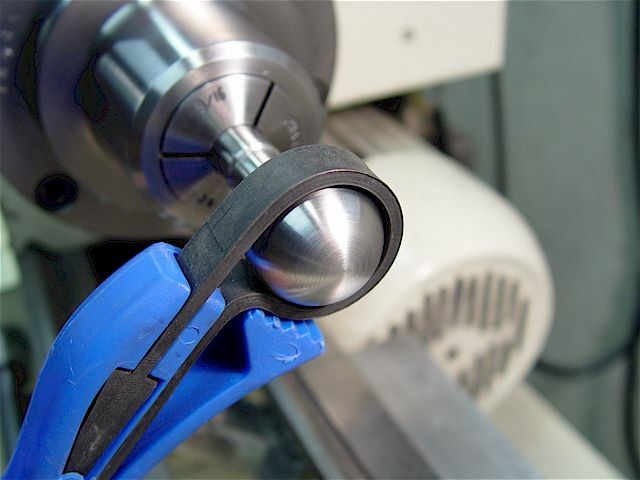 Knurl pockets (1" L x 3/8" W x 0.7" D) were made using a 3/8", 2-flute, carbide end mill. for larger jobs. 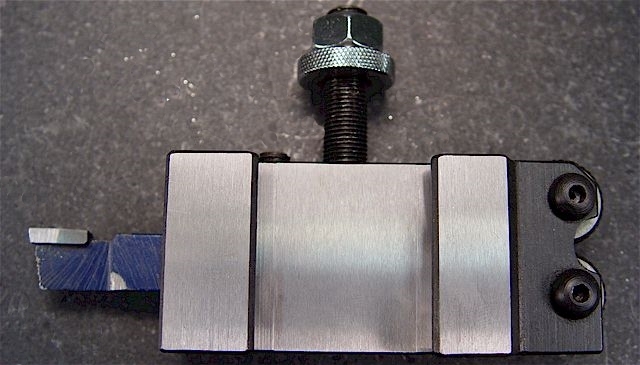 Put light pressure on the right to left carriage travel while knurling.